Wash your hands and wipe your face. Don't dig in 'til we say Grace." And daddy asked "Honey, you alright?" Means a job and enough to eat. Beggin' mama, mama can you please? 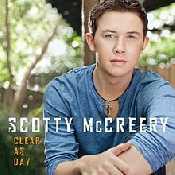 - Álbum "Clear as Day" del año (2011)	.